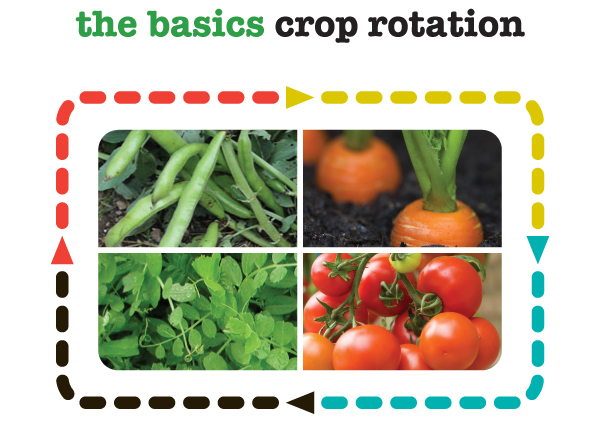 Crop rotation helps maintain the microbial balance and fertility within the soil and when it comes to good crop rotation vegetables are organised by plant families, the rule of thumb is veggies within the matching plant family should not be planted in the same location repeatedly as they deplete the soil in the same way, attract similar pests and share diseases. Rotating crops of family types between your EcoWise Planters reduces any associated risks. For bumper harvests remember to keep improving the soil as you grow by feeding your plants with compost, well-rotted manure, worm castings and liquid fertilisers. What veggies do you like to eat? Make a list, grouping them first by family and then by feeding type and finally the season in which they will grow. Maintain a garden diary to keep track of what has been planted where. We recommend viewing the planting guide to assess how much can be grown when your planter surface is divided into three squares. Plants from the Fabaceae family contain symbiotic bacteria called Rhizobia within nodules in their root systems that fix nitrogen into soil, improving or restoring it, unlike mulches and plants that over time deplete it. These plants are crucial in crop rotation and are best planted after heavy feeders; nitrogen-fixing cover crops are also used if the planter would otherwise remain empty or if a fallow year is desired.